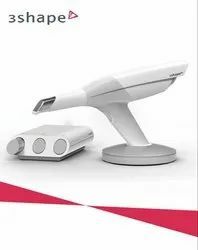 Pioneers in the industry, we offer trios 3 wireless intra oral scanner, trios 3 move intraoral scanner and trios 3 pod (mono/color) intra oral scanner from India. Ensure optimal treatment results for your patients. 3Shape TRIOS delivers high accuracy on single units, quads and full arch. 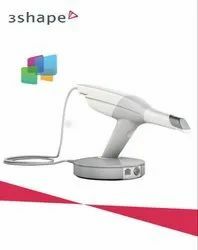 Shade measurement for digital reliability, HD photos to enhance details, and an intraoral camera so you don’t need one on the side. TRIOS 3 Move with a multi-touch screen, wireless as well as wired connectivity & integrated high-performance computer optimized for 3D scanning. 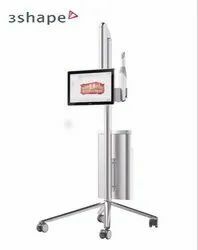 Designed for easy movement between treatment rooms. Move it anywhere without shutting down. It comes with adjustable height. Compatible with TRIOS 3 Mono, TRIOS 3 Color & TRIOS 3 Wireless in both, Pen & Handle Grip. Trios digital impression software with an integrated 3shape communicate interface.